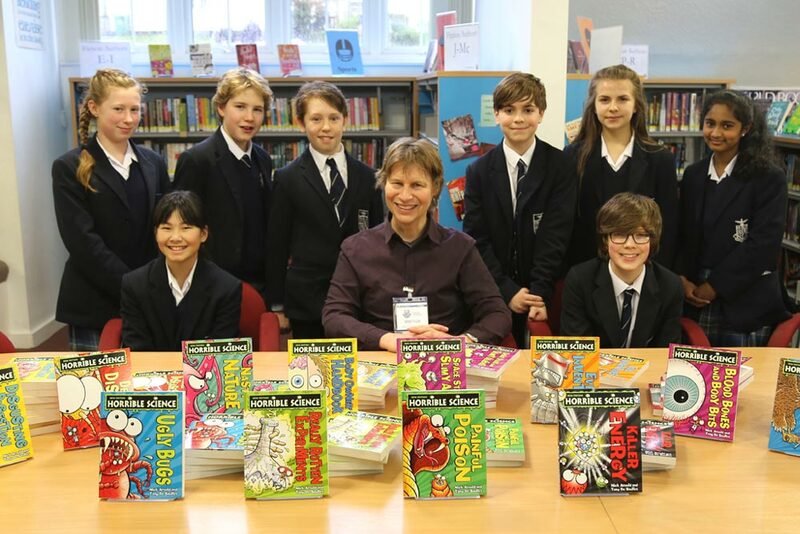 Opportunities to meet a children’s author who has sold over 15 million books across 40 countries are scarce, but that is exactly what the Truro School library team had in store for students this week! Children from Truro School, Truro Prep School and local primary schools, including Shortlanesend, Chacewater and St Mary’s C of E (Penzance), all came to see Nick Arnold, author of the Horrible Sciences series, as he spent two days leading a series of fun and interactive science presentations at Truro School on Tuesday 26 and Wednesday 27 January. With gross experiments galore and capacity crowds in the school’s theatre, students were regularly kept on the edge of their seats as science turned messy in each of the presentations. Throughout both days Nick illustrated a range of scientific theories, such as how air pressure, surface tension and gravity all worked together to make water travel upwards through a thin tube to get a poor volunteer soaked with water. 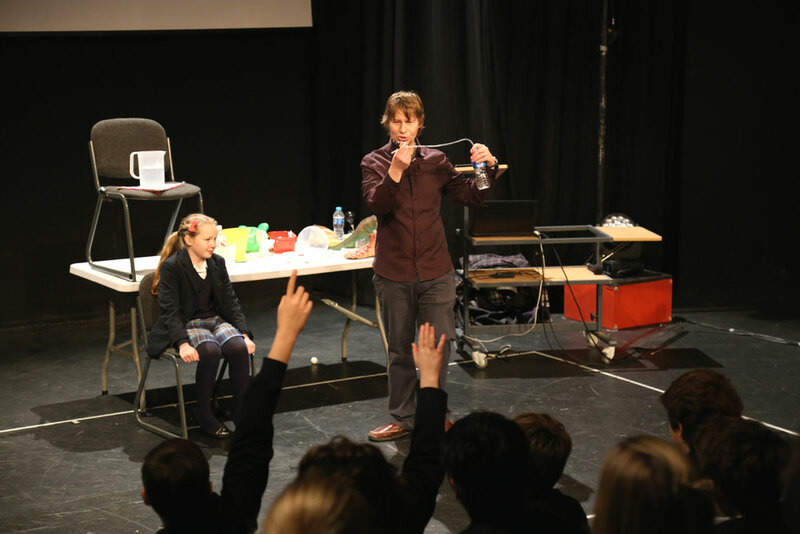 In another experiment Nick introduced the physics concept of inertia and explained, to light-hearted groans from the audience, how inertia had prevented a whole bucket of water falling on a student’s head. Nick Arnold prepares to soak another brave volunteer! 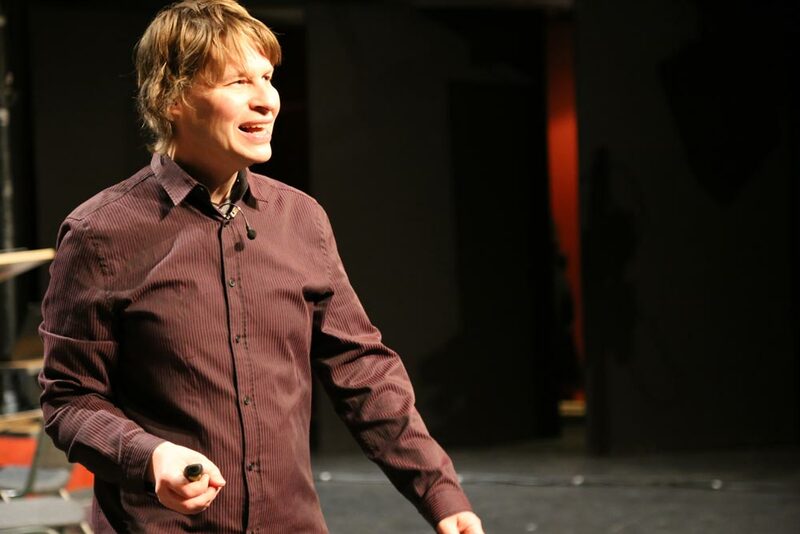 “The aim of my presentations is to bring science to life. What people tend to like best are live experiments. The idea is to inspire students to think about how the experiments work”. Each presentation culminated in a question and answer session where students could ask Nick anything they wanted. The end of each presentation concluded with a book signing, allowing students to purchase one of Nick’s books to take home as a souvenir. This year marks the 20th anniversary of the Horrible Science series which started up following the success of the world-famous Horrible History series. Mr Arnold continues to write best-sellers in this genre with more highly anticipated books set to be released in the near future. Other author visits over the past 12 months have included Meg Rosoff and Anthony McGowan.